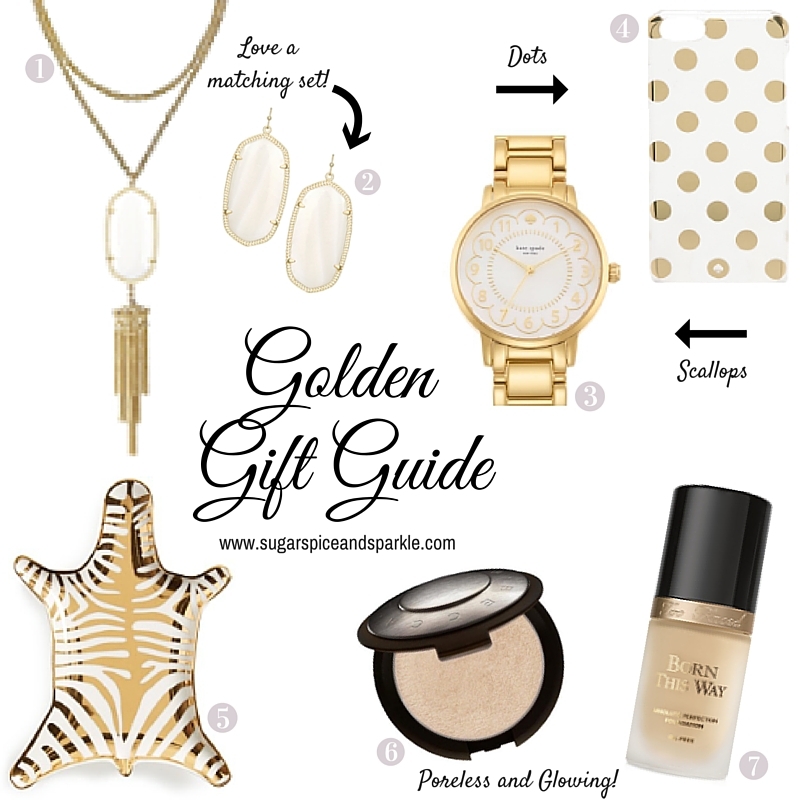 Holiday Gift Guide - Gifts of Gold! I have absolutely fallen in love with all things gold this year! It's even the main color in my wedding (not sure if this is the cause or effect of my obsession...). 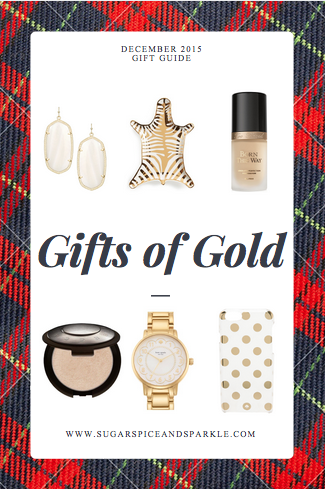 Luckily, every single thing this year seems to come in gold this year! Hope you enjoy my picks! Follow the links below to check out what's on my list this Christmas. Love that watch.. Kate Spade never ceases to disappoint!